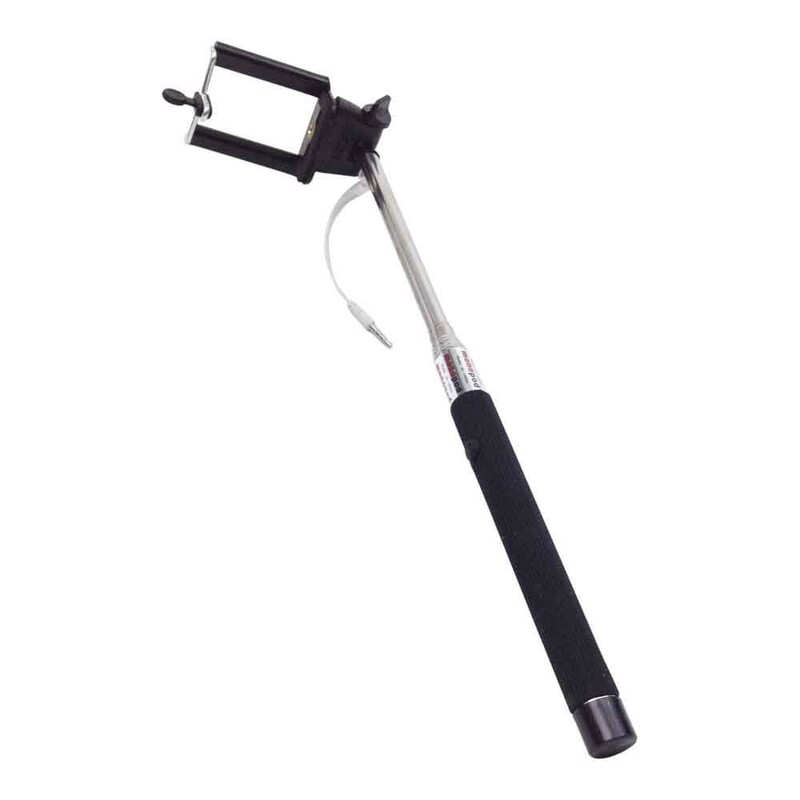 The very handy selfie Stick is a firm hand tripod suitable for smart phones with a width of 55 to 80 millimeters. The selfie stick is adjustable in length from 24 to 100 centimeters and smartphone holder is 270 degrees up and turning down. Retracted hand tripod is only 24 long, it's also easy portability to increase. Plug the cable into the headphone jack of your smartphone and you're ready to create wonderful and creative self-portraits, group photos, and more.